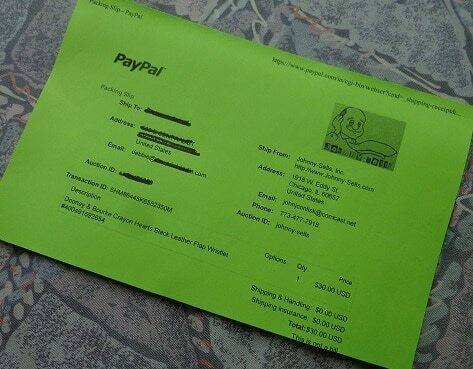 Have you ever used PayPal’s delivery system? Though there are still some people who frequently shop online but don’t yet know that this is an option, the PayPal shipping service has been around for a while now and its base of customers grew quite extensive. The service offers a variety of tools designed to fit every situation or mailing need, most of them aimed at helping sellers deliver items to their buyers in a fast and secure manner. This can greatly simplify the waiting time by speeding up label printing, organizing all send-outs and notifications of delivery and so on. If you’re a user of the service or are interested in becoming one, this is all you need to know about the PayPal package tracking system. Well, first of all, we should mention that PayPal doesn’t exactly run a mail service per se, but rather makes use of other shippers’ services. Their main package tracking software service is the organizing of your mail and shipments in a direct connection to your finances. Simply put, things couldn’t be easier, even if the packages and parcels per se are then shipped using one of the affiliate networks. To the date, PayPal uses the services of over 280 mail and delivery suppliers. Some of the more mainstream names include the UPS, Canada Post, Royal Mail group, as well as a lot of local carriers all over the world, so you can make sure that your package arrives on time no matter to what Chinese province or remote island it is sent to. To use the PayPal Package Tracking, things couldn’t be easier. 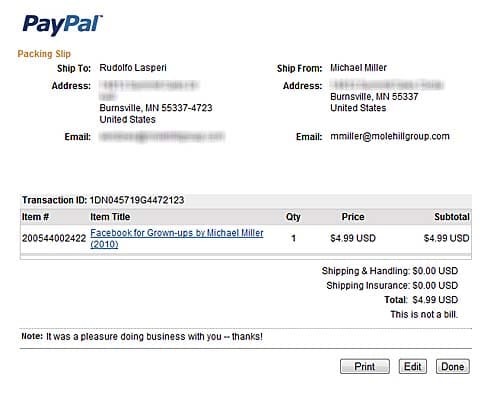 Not only that you receive a regular tracking number and order number (which can be used by both the buyer and the seller in order to track the shipment), like in the case of most other shipping services, but you also have a built-in dashboard for keeping track of things directly in your PayPal. This is accessible from the main page, left menu, right after signing into your PayPal account. Creating and managing labels (and even a multi-print feature for labels) in a matter of minutes. Keeping instant track of everything in only one place, no matter how many postal services are used in your shipments (almost as good as using a paid-for professional tracking software). Transparent and reasonable fees (no hidden or added amounts whatsoever). Easier filling of Custom forms for when you’re using international shipping – PayPal will take care of it too, so you don’t need to worry. We could go on, but to cut a rather long story short, the shipping service and the PayPal package tracking service are unparalleled if you don’t have too much money to invest in a professional mailing manager software, but you still need some help nonetheless. Considering the fact that it’s all already connected to your finances and you can save up on the fees, the service is definitely worth checking out.